The foundational documents of The Gospel Coalition clearly articulate a commitment to the historic, orthodox understanding of biblical inerrancy. Nevertheless, one of the cofounders of TGC, Tim Keller, has positioned himself to defend at least some versions of theistic evolution and progressive creationism (the distinction is not always clear). In a white paper published through BioLogos, Keller claims that the first chapter of Genesis is “exalted prose narrative,” and that, because of its literary genre, need not be interpreted literally. That Keller is in error at this point is not open to serious question. Granted, he is correct that Genesis 1 is a prose narrative that employs what could be called exalted language. Still, exalted prose narrative is not a recognizable genre. The operative words are prose narrative. Genesis 1 is history, however elevated the language might be. The text bears no distinguishing marks of non-literal narrative forms. Any normal reader approaching the opening chapters of Genesis must understand them to teach the special and immediate creation of the heavens and earth, light, the firmament, the celestial bodies, vegetation, animal life, and ultimately, the human race. If God meant to assert the immediate and special creation of all these things, He could have found no plainer language with which to do it. 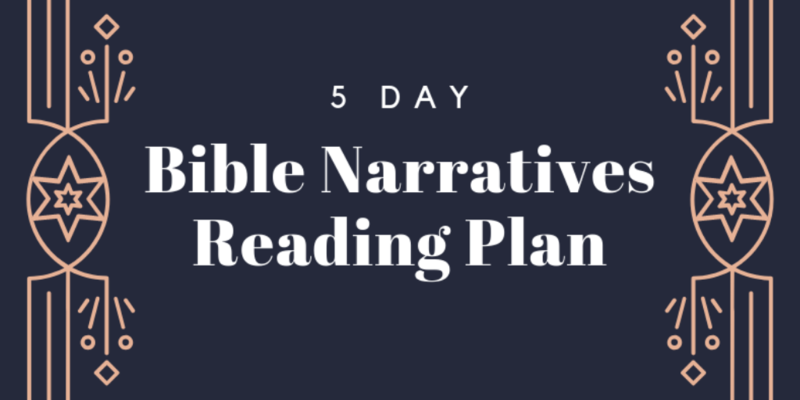 If God had intended these narratives to be read poetically, symbolically, or in some other non-literal way, He could have employed a wide array of literary devices to alert the reader. Such devices are conspicuous by their absence. Again, the question is not whether Keller has erred. His interpretation does not arise from the text. No one ever came to any belief except special creation and a young earth by simply reading the text. Theories of progressive creationism and theistic evolution are always proposed by people who are trying to accommodate the text of Genesis to alternative cosmogonies, and those accommodations are only attempted by people who have already ceded disproportionate authority to non-biblical speculations. The question is not whether Keller has erred. The question is how serious his error is. How much damage do progressive creationism, theistic evolution, and old-earth cosmogony wreak upon the system of Christian faith? Part of the answer is that different kinds of old-earth cosmogonies have been proposed, and these vary in their effect upon the faith. A generation or two ago, the so-called “Gap Theory” was still quite popular. This theory posited a gap between God’s original creation (usually identified with Gen. 1:1) and the shaping of that creation (Gen. 1:2ff). The gap was supposed to allow for the millions and billions of years of earth history posited by evolutionists. While the Gap Theory was an erroneous theory, it did minimal damage to the faith. A variant of this view, the “Creation-Restoration Theory,” taught that God formed a complete creation, allowed it to fall into sin, annihilated it, then ages later reshaped the world into the present creation. This theory was an attempt to accommodate, not only the geological ages required by evolutionists, but also the fossil record. Its chief difficulty was that it placed sin and death in an original creation before the fall of Adam, thus distorting the biblical view. Still, it could be argued that this sin and death belonged to an entirely different order than the one that God placed under the dominion of Adam. While the error was more serious than the error of the Gap Theory, it was an error that did not necessarily damage the gospel. All modern theories of progressive creation and theistic evolution fall into a different category. They all face the difficulty of explaining how God could have created an historical Adam. To insist upon the historical Adam is to damage fundamentally any commitment to evolution. To treat Adam as less than an historical personage, however, is to assault directly the foundations upon which the gospel rests. Keller sees this dilemma and tries to seize the first horn. He attempts to explain how a real, historical Adam could have arisen from pre-existing, sub-human creatures. In effect, Keller is determined to torture the Genesis narratives on the rack of evolution. Not a word of his theory comes from the text; not a word of it is plausible without a prior and inflexible commitment to evolution. Still, Keller does try to save Adam, and he deserves some credit for that. He does not do as well with the problem of sin and death. In the Bible, death entered the world through the sin of one man, Adam (Rom. 5:12, 18-19). As the result of human sin, the created order is now subjected to futility. This futility is linked to present human suffering as well as to the agony of creation itself (Rom. 8:18-23). According to the Bible, a dog-eat-dog world of predation, pestilence, conflagration, and upheaval is the direct result of Adamic transgression, and its redemption is one ultimate purpose of the gospel’s work. Keller tries to argue that since the original creation was not glorified, then it could have included death and destruction. He appeals to Genesis 1:2, which states that the original creation was “formless and empty.” The fact that original creation was yet unformed and unfilled, however, does not mean that it was actually formed by evil and filled with violence. What Keller has done is to concede the existence of death and violence for the entire duration of animal existence. On Keller’s view, predation, pain, terror, and corruption are part of what God made and what God intended creation to be. Certainly this view undermines the biblical teaching about God’s good creation. More than that, it makes God directly responsible for calamity that is biblically the result of sin. At this point, Keller has made a serious concession. Inasmuch as a right doctrine of sin and its effects is essential to the gospel, Keller is undermining the gospel itself. Keller himself is a gospel believer, but the effect of his teaching is to take something away from the gospel that rightly belongs to it. That is a grave error. On the one hand, Keller can technically claim that he has not denied the inerrancy of Scripture—much as Richard M. Nixon, in his resignation address, claimed that “technically I did not commit a crime.” On the other hand, his teaching about origins is such a serious distortion of what Scripture actually says that one is tempted to ask whether inerrancy, pressed in the way Keller does, means anything anymore. Perhaps it is worth remembering that a denial of inerrancy is not the only way of denying Scripture. Every Jehovah’s Witness claims to believe in inerrancy, but then distorts the Holy Scriptures to refute the deity of Christ. Tim Keller is one of the founders of The Gospel Coalition. If nothing else, The Gospel Coalition needs to be committed to a robust defense of the gospel against every error that would undermine its foundations. If The Gospel Coalition were fully committed to this task, it would have no room for Keller’s old-earth, progressive-creationist, theistic evolution. To the One Jehovah give. When I read the above verse, almost at the end of the Bible, it would be absurd to assume that the redeemed will have to wait for billions of years until God makes the new heaven and the new earth. Attempting to compromise what the Bible clearly teaches with the spirit of the age is catastrophic from any way you look at it. Furthermore, no respectability is gained from the secularists, only added contempt, since their creation myth (evolution) has no place for God. Thanks for this post. I agree that any attempt to accommodate Scripture to any modern theory is catastrophic to the sola scriptura principle and so to our understanding of the gospel. How fallacious it is to presume the science of genetics conflicts with the first man or woman, the genetic code and succeeding generations. There is no evidence or link for genetic diversity or variability and time. It shows ignorance and bias.